Growing up, I sometimes watched Popeye cartoons. Most episodes followed a simple pattern: Popeye, or someone he loved, was in great peril. Someone needed to be rescued. Faced with seemingly insurmountable odds, Popeye had to draw on his incredible strength to escape from the bad guys, to save Olive Oyl, or to rescue Swee'Pea. Just when he needed it most, a can of spinach would appear. He would gulp the spinach down and immediately use his strength to conquer the foe. To fully unlock his great strength, Popeye needs spinach. 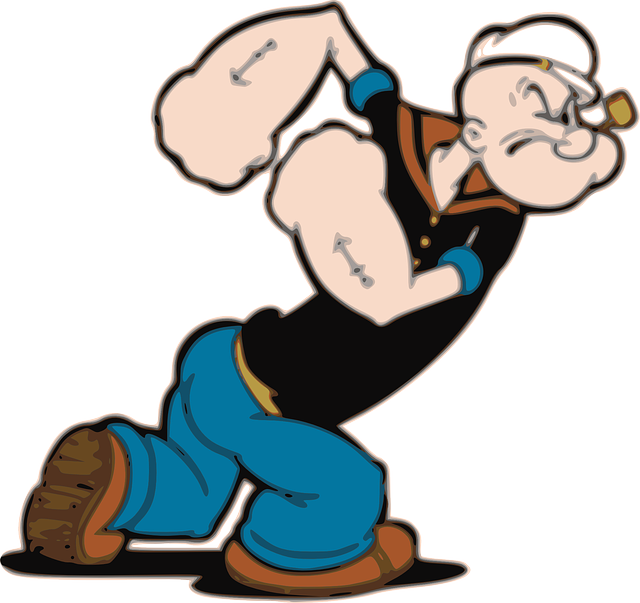 More popular, perhaps, than Popeye is Superman -- the Man of Steel. Every villain in every Superman movie somehow knew that if they could expose Superman to kryptonite, he would lose his strength. Kryptonite saps Superman of all his powers, leaving him weak and helpless. To avoid losing his strength, Superman needs to avoid kryptonite. While these characters are fictitious, the concepts are real. Every human being has talents which can develop into strengths. Every strength has needs. And every strength can be enfeebled under certain conditions. The most impactful conversations I have with family, friends, and coworkers about strengths involve discussions about what they need to fully use their strengths. It was by studying our Theme Insights cards in Gallup’s excellent Strengths Coaching Starter Kit that I figured this out. For me, understanding strengths and needs has helped a great deal in my most important relationships as well as at work. Emotions are information. She can sense without needing to be told what others are feeling, how they are reacting, or what they are needing. She is at her best and can use her greatest strengths when the people around her give her the freedom to express her emotions and insights freely -- without fear of being judged, corrected, or cut short. She uses her Empathy and her Restorative to instinctively understand and help others (including our eight kids) deal with problems, especially things that are emotionally challenging. People open up to her everywhere we go. She is a great friend and a confidante to many. Freedom to use her emotional intelligence unlocks her greatest strength. It’s the spinach she needs. Anything that stifles emotion is kryptonite to her. I know that I’m not the only spouse who needed to make this same discovery…but it was literally through understanding the nature of strengths, and what strengths need to grow, that it clicked for me. In a work setting, all of us need managers and coworkers who understand what our strengths need to thrive and what saps us of our strengths. Since joining Gallup last year, I have been really happy to discover a company culture that truly appreciates the strengths of each person. Not only do we list our top five strengths outside the doors of our offices, in our email signatures, and on our company intranet -- but we also discuss them regularly. I report to Phil Ruhlman, CIO of Gallup, who is a great mentor and a personal friend. He lets me play to my strengths every day. Freedom to brainstorm and be creative is spinach for me. I’ve been creating products, starting companies, and launching marketing campaigns for more than 20 years. I’m at my best when I’m doing creative work and finding ways to make things scale. But routine meetings, planning, and managing all the details involved in execution of these ideas sometimes feels like kryptonite to me. Not because of my Ideation strength alone, but because of my blend of strengths -- my top six strengths are all strategic thinking strengths. Someone who combines their Ideation with themes like Responsibility and Achiever may thrive with regular meetings, and they may use their Ideation strength to find ways to make those meetings even better. Recently, Phil shifted some of my planning, organizing, and reporting requirements to a coworker who excels at this. I’m now free to do more research, innovation, strategy, and analysis, without being drained by too many details or conversations. My Analytical needs “time to think” and my Intellection needs “time for reflection.” If I'm in too many routine meetings, those needs aren't met, and I'm not at my best. Phil has teamed me up with colleagues who are at their best doing all the things that I don’t do well. Together, we make a great team. The business result of managing our team around the strengths of its people is evident. Sales have more than doubled in the past six months. Remember, “As a leader you are not called to be well-rounded, but your partnerships and teams are.” (Strengths Based Leadership). It’s important to remember that strengths are patterns of thinking, feeling, and behaving. The behavior is observable. Strengths look one way (like strengths!) when we are at our best; and they look completely different when we are disengaged. We can become disengaged if what our strengths need is not known or is never addressed. When Popeye ate spinach it created action. He was able to DO something. When Superman faced kryptonite, it halted his ability to act. Strengths were created not for self-awareness alone, but rather to be actionable. One reason many managers don’t realize the benefits strengths can bring is that they haven’t put them into action, rather, they just assumed it was for self-awareness. If your manager, employees, coworkers, partners, and spouse haven’t seen what your strengths bring (seen you at your best) -- if they don’t know what your strengths need (spinach), and don't know what your strengths hate (kryptonite), then you are not using the Clifton StrengthsFinder to its full potential. The Theme Insights cards have given me a favorite tool for understanding and unlocking the strengths of those around me. I need a tool for this because I have Learner (#1) and Input (#2), but have less talent in the areas that make other people great coaches instinctively. If you have a Coaching Kit you already have these cards. Use them. They are incredible. 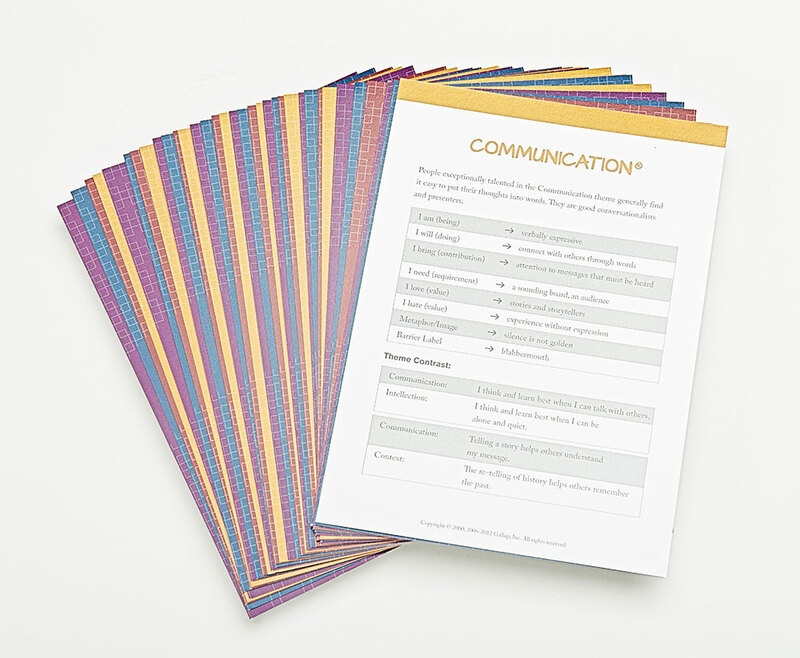 If you need a set, or want to purchase sets for your clients, you can now order Theme Insights Cards from the Gallup Store. Once you have these cards in hand, I invite you to have a strengths conversation with someone you care about. Review with them what each of their strengths bring, and ask them if they know what each of their strengths need. Discuss what the Theme Insights cards say. You will likely have several valuable insights. Once you know conceptually what the person's strengths bring and need, then it’s time to take action. Have them set a goal and then figure out how to use their strengths to achieve that goal. Since certain needs will have to be met to unlock their strengths, work with them to identify a partner or a system that can meet their needs, so they can be at their best and accomplish the goal. Popeye and Superman both needed their strength to accomplish their goals, which were usually saving people. You have powers, too. And people to help. We all do. Using them will enrich your life and the lives of those you live and work with. But they don’t function in a vacuum. And they don’t fully operate in settings or in teams where the spinach is out of your reach, or where the presence of kryptonite makes you disengage or mentally check out. Find out what your strengths need and what your strengths need to avoid. And then share it with the important people in your life. And feel free to share it with me. I’d love to hear from you. Paul Allen, Gallup’s Strengths Evangelist, is located in Washington, D.C., where he is dedicated to the task of taking the Clifton StrengthsFinder to the world. 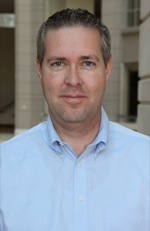 Prior to joining Gallup, Allen started several software and Internet-based businesses during a 22-year career as an entrepreneur. He co-founded Ancestry.com and served as its original CEO. Allen received his bachelor’s degree in Russian from Brigham Young University. He and his wife, Christy, have eight children, ranging in age from eight to 24. They live in Falls Church, Virginia. I took the Strengthsfinder 2.0 in 2012 (as well as the Myers-Briggs test), in a Leadership Studies class at Kansas State University, and I think that incorporating Strengths into both 1) relationships, and 2) careers would be an excellent investment. Like, figuring out which 5 strengths your spouse "should" have, that would most ideally complement your own, and work with the Dept. of Labor to get Strengths incorporated into their Occupational Handbook, or something like that, so you could look up, say, architect, or physician, and find out what that position typically is for strengths. OR, if you have the personal data from your research into these strengths, you could cross-reference one with the other. By the way, my Strengths are (from the top): Deliberative, Maximizer, Analytical, Intellection, and Futuristic. You wouldn't believe how difficult it is to find (especially KEEP) "jobs" with this particular set of strengths. I have been looking at non-job opportunities("home-based"), but some are either too expensive, or too complicated. My areas of interest are nutritional healing/cooking/natural health, architecture, and also writing, but I seem to be sort of ADD, since I get bored on jobs a lot. It seems like you can never get "enough" education to be respected these days. (the good ol' days are long gone, where apprenticeship is concerned). I've had too many jobs, several with temp services, some "permanent", and my IQ is tested (twice), the most recent at 115-122+. University engineering curriculum wasn't too bad until I got into the math and science (I've been out of highschool since 1987). Another possible factor is potentially having Aspberger's syndrome, and I have done some research on that and autism. (also saw Temple Grandin live, and also her movie...jello can't be very good for the brain!). Of course, psychology has been a fascination for a while too, since I've wanted to know how the mind works, and taking all these evaluations about myself, whether personal or personality, or career, etc. What I AM doing is working on a recipe book for vegan and gluten-free foods (I've had digestive issues with both), designing a restaurant to serve these foods in, and have created the business plan for the restaurant. I also compiled a math & science joke book last October on createspace.com, which you can find the link for, using those same words in the facebook browser. Lots of "likes" but no "buys". Yes, I definitely need an activator to get all these things "out there" (and lots of $$$$ too!). Incorporating Strengths with Myers-Briggs or something would be good too. (I'm still single...tough finding the "right one", no less communicating with her). So, if you, or any of your colleagues has any suggestions, please feel free to email me at pskvasni@ksu.edu. Paul this is a great explanation of what we mean by investing and maximizing our Strengths in everyday life. Your examples bring the concept alive -thank you!